Dr Rob Bellamy is Presidential Fellow in Environment in the Department of Geography at the University of Manchester. 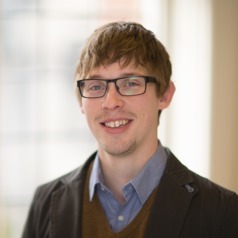 He joined Manchester in 2018 after five years as James Martin Fellow in the Institute for Science, Innovation and Society at the University of Oxford. His research focuses on the interactions between global environmental change and society, particularly in relation to climate change and energy. He has published widely on these topics in top ranked academic journals, including Nature Energy, Global Environmental Change and Environmental Science & Policy. He has also served as an advisor on climate change and energy issues to various government departments. Bellamy is committed to interdisciplinary research and draws on insights from across the natural and social sciences and the humanities.